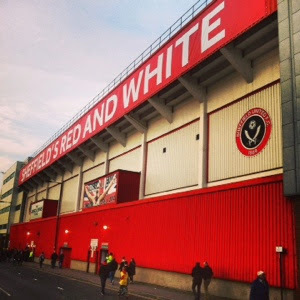 With less than a month to go to the start of the new season and I am feeling good about the way things are shaping up at Bramall Lane. At this stage last season, David Weir was barely a month in the job and making rare forays into the transfer market. There was desperate optimism around the Weir appointment and the signings he was making. Enhanced hope for better after a stumbling end to the season and a passionless play off exit. This season we are riding the crest of an end of season wave that saw an amazing cup run and a surge up the lead. Do we justify the bookmakers choice as favourites, probably not, but there is plenty to be pleased about and the renewed optimism seems justified. Yet there still seems to be a bit of whingeing and moaning on message boards and social media regarding United's moves in the transfer market. Complaints about the club not demonstrating ambition. A perceived failure to spend any significant money. But what is this ambition that people crave? When pushed it revolves around four issues. Not spending big money on transfer fees, not securing Harry Maguire's long term future, being unable to secure the return of loanees Brayford and Coady, and a perceived weakening of the team,. Whilst references to game changing money were unhelpful, it cannot be seen as an unlimited pot and the club are clearly assessing where that money can have most impact. In recent seasons we have successfully demonstrated that money and a high wage bill is not a guaranteed way to get out of this division. The exceptions are Bournemouth - who still spent shrewdly and have then established themselves in the Championship - and Wolves. Further, if you look at Wolves it was a massively different scenario given the quality of players they were relegated with and the parachute payments. They were able to lose some very high earners, still keep some quality players and then supplement with players who had impressed in the third tier; such as McDonald, Dicko and Clarke. Their funds and wage capabilities allowed them to make attractive offers to players who, in Clarke's case, would well be cast aside this Summer now the job is done. In effect Wolves were able to cripple potential rivals as much as aid their own promotion charge. But the club has to respect Financial Fair Play. The financial management of the club has come under both internal and external scrutiny and great swathes of cost savings were achieved in the last financial accounts as the club pursued a sustainable financial model. This prudent approach, ensures that the club stands on its own two feet and is not overly beholden to an owner; something many clubs have suffered as much as benefited from. It is also a model supported and praised by the Prince and his advisers. Detractors amongst our support point to the fact that the Football League have allowed provision within the rules for 'benefactor' owners to finance a club's ongoing losses in League One and League Two. This increases demands for the club to throw money at promotion with no guarantee of success. The reality is you cannot throw big money about in League One, how many players move to the third tier for transfer fees above £500,000? Very few, if any. It is all about salaries in League One and alongside spend limits, the club has to be careful not to upset other players and the existing structure. If you throw big money at it and subsidise significant losses this works against a club when promoted. The Championship rules allow clubs to lose £3m a year, plus a further £5m if paid in by an owner and converted to capital. If that is exceeded, clubs will face a transfer embargo, or a fine if they are promoted. It makes no sense for United or the owners to throw excessive money at the club in League One, or try and bend the rules with sponsorship deals etc. The time, if at all, is when the club is in the Championship and money has a much greater impact. As a third tier club you need to accept that players come and go. In fact you have to accept that if you are a club outside the Top 4 or 5 in the Premier League. In your squad you have the ones who want to stay and remain loyal, those who use the club as a vault to elevate themselves to higher levels, older players looking for a club to stay and have some security and the young ones happy to develop under good coaches and in a successful and forward thinking club. In amongst the many factors affecting a career decision, money makes a significant difference. One of the immediate benefits highlighted by the Prince on his arrival at United was the hope that his money will make it easier to retain our young players. Obviously success on the pitch is the key element, career progression within the club helps, yet money is a key differential. I am damn sure we will have offered Harry a salary at the top end of League 1 salaries. This will still be within our wage structures and FFP rules. Mal Brannigan has said; "We have no need to sell". Unlike in the past there is no urgent need to generate cash to pay bills or fund Nigel Clough's targets. Although the sale of Maguire would enable Clough to look at another level of player, giving us further room to manoeuvre in terms of fees and wages, we could let him see out his contract and pick up compensation next Summer. At which point we could be Championship and he might want to extend his contract. The alternative is that we receive an acceptable offer, no worse than what we might expect if we kept him to his contract. If the manager feels that could be best used buying and remunerating two or three good Championship/League 1 players then so be it. In all honesty Maguire would have been gone by now without the financial stability brought to the club by the Prince and the move to being a sustainable business. Not keeping a talented young player who has spent three seasons developing and impressing amongst his peers at League One level is not demonstrating a lack of ambition. It reflects the reality of football. It reflects the reality of life. We all want to move on in our careers, we all want to feel we are adequately rewarded for our efforts and capabilities. Hell, who doesn't want to and who wouldn't want to move jobs when a higher paid role with greater status come up. Only a fool would never change. With one or two exceptions, there will always be someone who wants your best players. Ask Liverpool, or Arsenal, just two examples of big clubs who have struggled to hold on to their best players. Signings have been described by some as underwhelming, which probably reflects ignorance of the players performances week in week out and unrealistic comparisons with loanees we had last season. Remember how we all got excited about Brandy, on the basis of his performances against us and Cuvelier based on a YouTube video? Over the next week or so I will share the lowdown on some of our new signings from the fans of their previous club, who saw their contribution week in week out. In amongst our signings so far, we have signed a player who was a near ever-present in the Championship last season, a club captain of a team that was just outside the play offs last season, a winger who has always worried our fans when we have been up against him and a striker with a good goal scoring record and a bit of confidence behind him. We had four new signings by the end of the first week of June, we didn't even have a manager at that stage last season. Add in deals for two players who contributed to last season's improvement in form and the addition of Alcock and (most probably) McGahey, the squad and strength in depth is considerably greater. Still some say the squad is weaker, yet we have League One/Championship capability in all positions, with a depth and flexibility in the squad that wasn't there last season. Yes we may not feel that we have as higher quality in odd positions, but this also assumes that Nigel Clough will play the same way, with the same formation this season. Last season was a case of adapting to what we had and making changes over time. Now he has the flexibility to act decisively in the transfer market and mould his own squad to fit what he wants to achieve. I would also say that those positions are not vital to the potential success of the club. 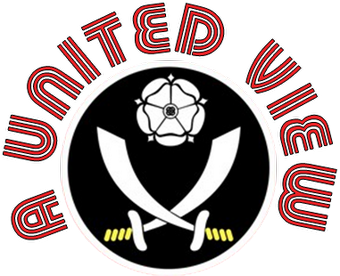 It is clear that the manager has a distinct idea of what he wants and has ensured that a majority of the required signings are in place to benefit from a full pre-season preparing at Shirecliffe and whilst the final piece in the jigsaw is a striker, we have enough in place to start the season and may need to be patient until the end of the window, when other managers' plans are formed and more players are made available. United's transfer policy is clear, with a general focus on recruiting younger players at prices we consider value for money based on their current abilities, but where we feel there is the potential to develop their ability and value. Then they either stay or fly the nest. Like I described earlier, they either supplement the squad or supplement the bank account. In any transfer dealing sometimes you need a bit of luck. Moreso for the impact of loan players, where the need to hit the ground running and perform at a high level of intensity for a short period is required and many haven't had to perform at that level for some time. Then there is the need to transfer that short burst into longer term consistency if they are signed. Looking back in the past, for every Glyn Hodges there is a Phil Starbuck. In Brayford and Coady we had two players at slightly different crossroads in their careers, each with appoint to prove at their respective clubs and both grabbed the opportunity presented at United. In the end that means they are now likely to be Championship bound, but who is to say we won't utilise the loan market with similar success this next season? Yes we don't want to be reliant on the loan market, and certainly not to the extent Blackwell or Adams were in their reigns, but the fact wemay well be able to pick up similar deals to Brayford and Coady should always be borne in mind. Often, these deals happen much later in the window. The successful end of season also hides the fact that retaining these two players, however good it would be, is not the be all and end all. With Alcock signing the need to utilise important funds and wages on Brayford becomes less of an issue. You don't win promotion based on a quality right back alone and there would be bigger priorities for that cash, particularly in terms of central defence and more particularly up front. Coady took his time to make his mark in the team and to impress and whilst the final months, his qualities were clear, who is to say that Basham or a fully fit Wallace cannot give us similar impetus in midfield? Or even a slightly different role for Baxter or Scougall. As fans we are often too guilty of looking back, be it to last season or back 5, 10, 15, 25 seasons. I am as guilty as most. Nostalgia gives you a warm, fuzzy feeling and you would do anything to re-create it. However, maybe the time is to look forward. Trust in the manager and his team. Build on the general wave of optimism, instead of seeking fault and blame. Superb article Ian and completely echo's my thoughts. The people moaning / whining on forums and constantly hassling the likes of Phipps and Baki on Twitter/FB is cringeworthy at times. Always a pleasure to read your articles, mostly agree with your observations and you're right - fingers crossed - let's sit back and enjoy the ride. I can't understand any negativity at the moment. I'm very happy with what is transpiring.